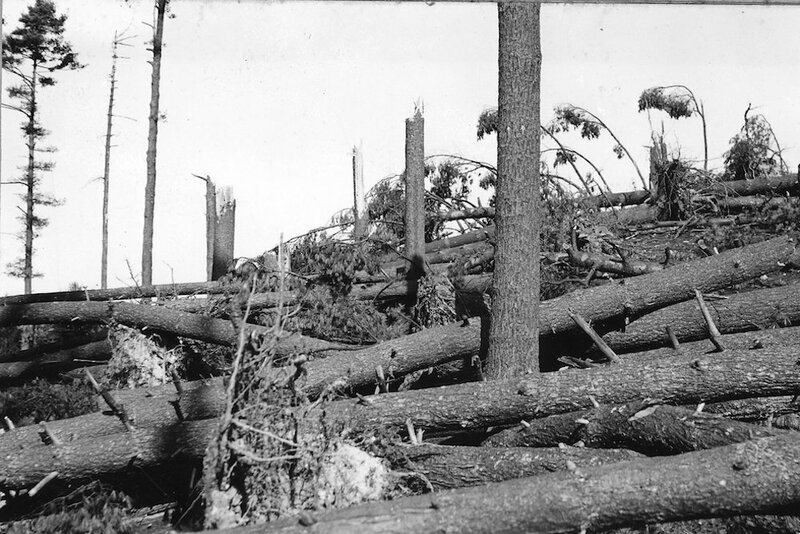 A southern New Hampshire pine forest was entirely blown down in the hurricane of 1938. Photo courtesy of the U.S. Forest Service. Fall foliage and hurricane season go hand in hand in New England. But what few people realize is that the spectacular blazing colors from our hardwood forests are the result of the great hurricane of 1938, which brought 100 mph winds inland to Vermont, New Hampshire, and Maine 79 years ago on September 21. The storm that came to be known as “Thirty-Eight” (the system of naming hurricanes didn’t begin until 1953) was the first Category 2 hurricane to reach Vermont and New Hampshire, and it came without warning. Thirty-Eight made landfall on Long Island, crossed the Long Island Sound into Connecticut and Rhode Island, and raced through Massachusetts and Vermont. It had been at least a generation since any hurricane had hit the region, even the coast. Because of the lack of warning, or preparedness, more than 600 people died, most of them from the storm surge that swept beachfront houses into the sea. Floods and high winds—the fiercest wind was measured near Boston at 186 miles per hour—destroyed roads, bridges, houses, barns, and railroad tracks. Inland, these winds uprooted nearly 1,000 square miles of forest, ripping holes in the tree canopy ranging from the size of a city yard to as large as 90 acres. And in doing so, the hurricane created a new forest across much of New England. Most of the people who lived through the hurricane are gone, but I have been fortunate to hear the stories of many of them. One dramatic story came from Fred Hunt, at the time a 14-year-old boy playing hooky in the woods in Rindge, New Hampshire. Late in the day, a huge pine—more than 100 feet tall—was uprooted and landed five steps behind him, its trunk parallel to the ground. Thinking quickly, he scrambled into the space beneath the trunk of the fallen pine and stayed there for 10 minutes while the winds howled mercilessly and blew down every other tree in the forest. When there were no more trees left standing, Fred scrambled through the tangle of downed trees the last half-mile to home. New England’s largest hurricane was followed by its largest logging job, and this one-two punch brought about the forest that we see today. The white pine that served as Fred’s refuge happened to be growing in that spot because of the history of the area’s land, which was typical of much of rural New Hampshire and Massachusetts. In the 17th and 18th centuries, farmers cleared most of the original forest to grow crops and raise livestock. With the advance of the Industrial Revolution, these farmers left to work in the mills. Starting in 1860, the cleared fields reverted to forests. In New England, there’s no need to replant trees because they happily grow on their own. One of the most prolific colonizers of farm fields is white pine. So when Thirty-Eight raged through, forests covered 80 percent of the land in New Hampshire and Massachusetts, and much of that forest was white pine. Before the storm, many rural families saw their woodlots as living bank accounts, where a few trees could be cut and sold when they needed money. Ninety percent of the trees that were blown down were white pine. 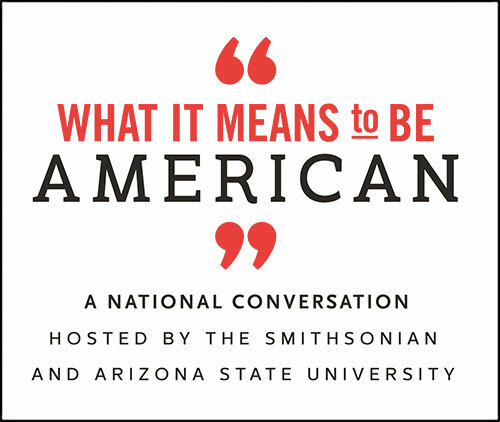 With the disaster, the federal government saw a need to get involved. The Great Depression had not yet ended, and in the forested areas of New England the New Deal make-work programs such as the Works Progress Administration (WPA) and Civilian Conservation Corps (CCC) were well-established. Fearing the kind of fires seen in the West each summer, the U.S. Forest Service directed the WPA and CCC to strip the downed trees of their branches, twigs, and needles to reduce the fire danger. Simultaneously it created the Northeast Timber Salvage Administration to purchase logs from the blowdown. Five times the annual harvest of trees had been blown down in a five-hour period, creating a huge glut of wood. NETSA created a market for the logs and purchased nearly half of the salvageable timber, providing some income to the 30,000 families that otherwise would have lost their woodland bank accounts. And so, New England’s largest hurricane was followed by its largest logging job, and this one-two punch brought about the forest that we see today. When the towering canopy of white pine blew down, what was left were the seedlings and saplings of deciduous hardwood trees. If they hadn’t been blown down in 1938, those pines might still be there, holding the ground until they died from wind, disease, or logging. Instead, the mix of maple, birch, and oak that relished the new sunlight (having been released from the shade of the pines) grew vigorously. This new forest closely approximates the species mix of the original forest that had greeted the settlers, and its vibrant display of turning leaves attracts leaf peepers from around the globe. Not all of New England experienced Thirty-Eight the same way. In Vermont, for example, farming had continued well into the 1930s, so only half of the state was covered in forests. So hurricane damage appeared mostly in woodlots on top of ridges and in the sugar maple orchards that produced the springtime crop of maple syrup. Maple syrup was a hugely important crop in Vermont, because dairy farmers used the income from syrup to pay a year’s wages for hired help. With so many sugar orchards laying in ruins, many Vermont farmers had no choice but to get out of farming. The regrowth of the forest began in Vermont 80 years later than in Massachusetts and New Hampshire, and the process was different because Vermont’s soils are better than those of its neighbors. Vermont’s forest cover has now reached 80 percent, and the vast majority of it is the mix of northern hardwoods—maple, beech, and birch—that makes the hills come alive in the fall. When I last spoke to Fred Hunt, just months before he died at 87, he said, “I’ve always been a white pine man.” He told me that after graduating with a degree in forestry from the University of New Hampshire, he ran a logging business for 10 years, specializing in thinning pine plantations. He then earned an M.S. and Ph.D. from the University of Massachusetts studying white pine and its effect on the water supply. Along the way, his master’s thesis served as the first management plan for the 58,000-acre forest surrounding Quabbin Reservoir, which provides the drinking water for Boston and 40 other nearby towns. He then taught forest management and managed a large forest deep in the Adirondacks for 10 years before he decided at the age of 54 to make his final career change, moving back to Reading, Vermont and tending his own forest. Hunt spent a lifetime working to grow superior white pine because it provided a good living and because he loved the practice of forestry. But it’s possible that his lifelong affinity for white pine could have little to do with money or forestry. It could have more to do with an event when he was 14 years old. On that day, as New England’s most destructive hurricane passed through, a white pine saved his life. Stephen Long is author of Thirty-Eight: The Hurricane That Transformed New England. He lives in Corinth, Vermont, and tends his own forest.